Luminescence is a rather common phenomenon for inorganic natural materials. This means that many minerals glow under UV lamps. 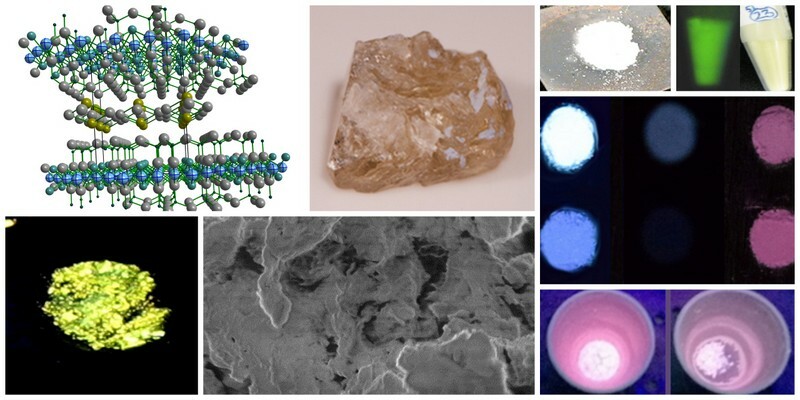 In our group, we study both minerals and synthetic minerals for use as luminescent materials. However, we are also interested in their other properties, such as using them for solar energy harvesting.